Want to see my latest sew? Head on over to Frances and Suzanne's! And come back here tomorrow for the rest of our rakhi pictures. I'm spending the rest of the day editing, I promise! Have you been to Raspberry Creek lately? 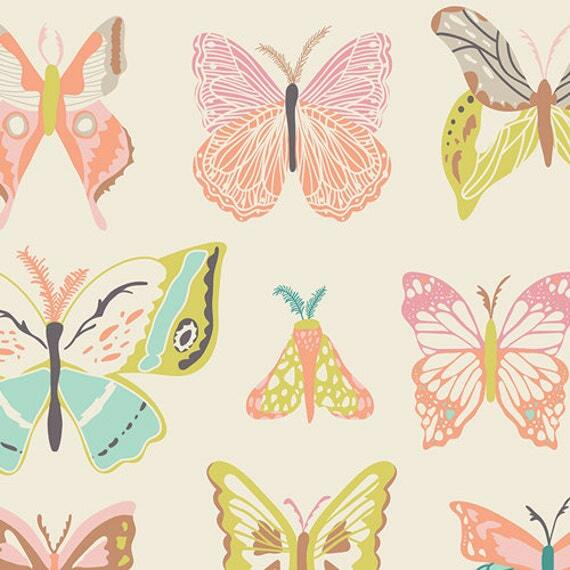 I'm crushing on this gorgeous butterfly print. Some prints are just too pretty to be used on clothes that will be outgrown. I look at this and see a set of pillows! What do you think?